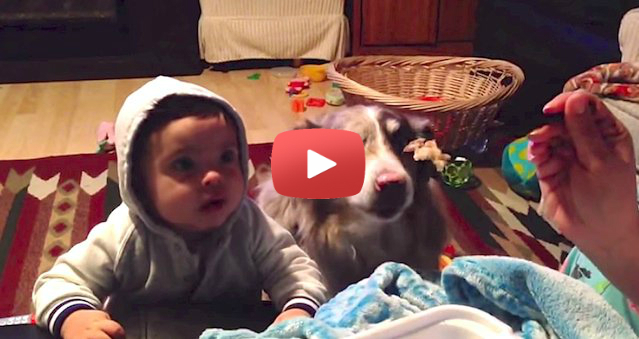 Smart Dog Beats Toddler To The Punch And Says ‘Mama’ Before He Does.. Dogs can be quick learners when it comes to getting food, especially when it comes to tasty human food. This dog shows just how smart they can be. While mom is trying to entice her toddler to say “mama” with a delicious fork of food, doggie sits closely by the boy’s side watching what’s going on and decides to give it a try himself! Wait until you see what he does. Everyone’s reaction to what he does is just too funny! Share this hilarious video with your friends and family!